Are you looking for some fresh ideas for your Easter or bunny theme? Here are some materials and ideas that you can use for a bunny invitation to play. I’m going to start by telling you how to add a fun, unexpected texture to your playdough, then I will give you lots of ideas for a playdough tray. To begin, I mixed up a batch of my quick playdough recipe. I was in the mood for pink, I added pink food coloring. 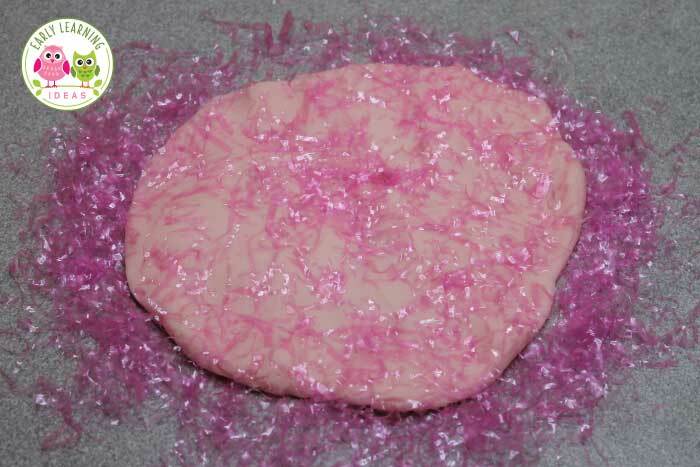 After preparing the batch of playdough, I added some Easter grass to create a unique texture in the dough. I started by cutting the pink Easter grass into smaller pieces. Let your kids help with the grass cutting. I bet they will love it. After cutting up some grass, it was fun to knead the grass into the dough. Here are some open-ended questions for your kids as they mix in the grass. What happens when you mixed in the grass? Did you notice any changes in the playdough when you added the grass? How did it feel in the beginning? What do you notice about how it feels now? What happens when you pull the dough apart into two pieces? Now that you have your playdough ready to go, you can dig through your craft and supply closet to find fun items to add to a divided playdough tray. 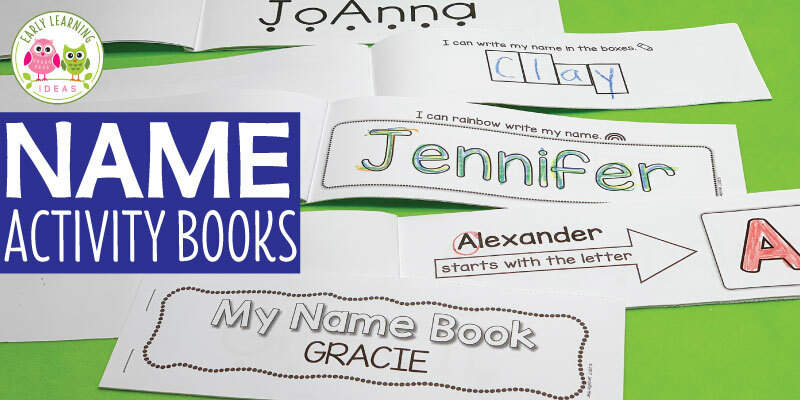 Now that you have filled up your tray, you are all set to let your kids get creative. I hope that you all have fun with your Easter playdough tray. Are you looking for additional bunny themed activities? The resources below are available in my store. They can be purchased separately or as part of my Bunny Activities Bundle.